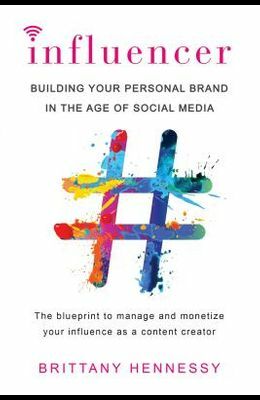 I highly advise anyone who has an interest in life online to get this book, sit down, and take notes because you're going to want to hear what Brittany has to say. -Iskra Lawrence, Aerie Model and Instagram star (@iskra) If you've ever scrolled through your Instagram feed and thought, I wear clothes, eat avocado toast and like sunsets, why can't someone pay me to live my best life? this book is for you . . . Every one of your favorite influencers started with zero followers and had to make a lot of mistakes to get where they are today--earning more money each year than their parents made in the last decade. But to become a top creator, you need to understand the strategies behind the Insta-ready lifestyle . . . As nightlife blogger, then social media strategist, and now Senior Director of Influencer Strategy and Talent Partnerships at Hearst Magazines Digital Media, Brittany Hennessy has seen the role of influencers evolve and expand into something that few could have imagined when social media first emerged. She has unrivaled insight into where the branded content industry was, where it is, and where it's going. In this book she'll reveal how to: *Build an audience and keep them engaged *Package your brand and pitch your favorite companies *Monetize your influence and figure out how much to charge Plus tips on: *Landing an agent *Getting on the radar of your favorite sites *Praising a brand without alienating their competitors Whether you're just starting out or you're ready for bigger campaigns, Hennessy guides you through core influencer principles. From creating content worth double tapping and using hashtags to get discovered, to understanding FTC rules and delivering metrics, she'll show you how to elevate your profile, embrace your edge, and make money--all while doing what you love.